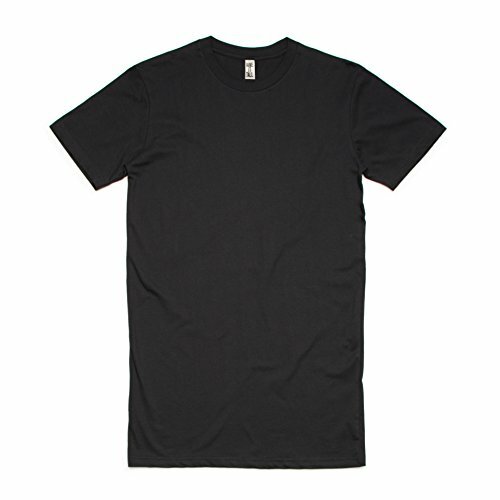 This extra long Tall t-Shirt will be your favorite shirt that you pull out to wear again and again. These Have it Tall brand shirts are 5 inches longer than regular tees and 2 inches longer than Have It Tall regular tall t-shirts. They are made with midweight 5.4 ounce 100% cotton (heather colors have some polyester) which is fabulously soft to the touch! The shirts are fitted unisex size, which means true to size for tall men. Women who like an oversized comfortable garment will love the true fit. If a more fitted look is desired, ladies should consider to order a size down. Please refer to the size chart. Colors Available: White, Black, Heather Asphalt, Navy, Royal, Burgundy and Heather Graphite. Sizes: Small Tall, Medium Tall, Large Tall, Extra Large Tall and 2XL Tall.